This year our family celebrates 10 years of homeschooling. This is not a brag. It’s more of a pinch-me-please-I-can’t-believe-it-either. Our family’s homeschooling journey has been a pivotal point in my life as a mother and as a woman. Teaching our kids at home is never easy but it is enjoyable. I have doubted myself and thought of giving up many times. But by the grace of God, I am still at it. The first four years of homeschooling our first child was difficult. My son and I had our ups and downs. It was the lowest point of my life as a mother and I believed I was the worst mom ever. Then, I realized I had to let go of my wrong thinking to be a better homeschool parent-teacher. 1. To prepare my heart. Before I start the lesson with our child, I need to talk to my source first. I need to pray and ask the Lord to prepare my heart for another homeschooling day. I ask for a double serving of patience and kindness. Having my heart checked by the Lord will tame my tongue and control my emotions. 2. To prepare my lessons. When I don’t prepare for the day’s lesson, I have short-changed my child. Over the years of homeschooling, I have found a system of lesson preparation that works for me. If you’re the type who can prepare lessons for a month or a week, then do it. Find out what works best for your and stick with it. 3. To be flexible. There are good homeschooling days and then there are not so good days. The kids get sick or something comes up that needs our immediate attention. We need to adjust to the need of the moment. Allow interruptions. These interruptions can either be the Lord telling us to take a break. Forcing our kids to study because “they have to” will end up in tears. You will regret it. Trust me. I’ve been there and done that. 4. To understand your child’s limitations. This was a hard lesson to learn in our early HS (homeschooling) years. I thought that if I teach our child a new lesson, he will immediately remember it and recall the next day. Who am I kidding? Even adults forget what was said a few minutes ago. I can’t expect him to get it right away. We can’t also expect them to learn as fast as we (adults) do. They have their own pace and level of maturity. A gentle reminder: If your child is a fast learner then provide more or advanced lessons. However, if your child is taking the time to learn a new concept, be patient. We can’t rush learning. Maybe we could present the lesson in a new way to make it more interesting. 5. To accept each child as unique. As the Bible says, we are uniquely and wonderfully made. If you teach multiple kids at home, do not compare one with the other. It will hurt them and damage their self-esteem. They will grow up thinking, “I am not good enough.” Acknowledge your child’s unique sets of strengths, skills, and even weaknesses. Encourage the strengths by developing them more. And develop the weaknesses by presenting the lessons in a creative way. This will free your child of any unwanted expectations and boost confidence. 6. To discover your child’s learning style. Children have different learning styles. There is no one-size fit all way of learning. Knowing how your child learns will help you plan your lessons that will be effective. Our son is an auditory learner so I allow him to listen to music when he does his work. We discuss more as well since he loves to talk. Our daughter is a visual learner so we do a lot of reading together and arts and crafts. Most of her output or projects are art-based. 7. To connect with other homeschooling families. 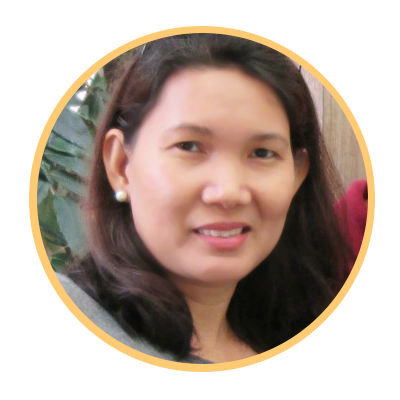 Homeschool support groups and Facebook groups based in the Philippines have sprouted online. When you check out Homeschoolers of the Philippines’ (HOP) page on Facebook, you’re in for a treat. There are thousands of members that are willing to connect with other HS families. Plug into a homeschool support group or COOP in your area. If you can’t find one, start one. 8. To ask for help. It takes a community to homeschool a child. You can quote me on that. We have to admit that we don’t know everything and we can’t do everything. If you can’t teach your child music, arts, or sports, then, find a class or a mentor who can teach your child. Don’t be afraid to hire someone or a tutor who will make your load lighter. It takes a community to homeschool a child. When our eldest child graduated from elementary, we wanted to continue homeschooling him. But I know my limitations. My husband, together with our son, opted to enroll him in a homeschool hybrid program in high school. He is still enrolled under our homeschool provider, but the teachers at the Brainy Bunch Study Center are teaching him. I am no longer his teacher. The center is like a mini school where he got to meet new friends and learned to adjust to different personalities. 9. To go back to your ‘Why‘. Our homeschooling days will not always be sunny. I’ve spoken to fellow HS moms in the past and they all said that homeschooling is a lot of work. When you commit to teach your child at home, you are committing to the demands of HS. When you feel like throwing in the towel and think that nothing is working, take a break. Breathe. Remember why you made that decision in the first place. If a change happens in your family and it would be impossible for you to homeschool, then reconsider. I know of two moms who decided to send their child to a regular school because they had to go back to work. Another mom enrolled her son in a Christian school because he got bored at home. Today, all the kids are doing well in their new school set up. 10. Homeschooling is not for everybody. When I was a newbie and an on-fire homeschooler, I would urge all the moms I know to homeschool their kids. But I realized I was wrong. God called us to be moms but He did not call all moms to homeschool their children. Today, when prospective moms seek advice on homeschooling, I always tell them to pray first. It is not one mom’s decision but a family decision. Educate yourself about homeschooling by attending orientations, seminars, workshops; reading blogs; and interviewing homeschooling families. Homeschooling is not something we do because every mom in our church group or community does it. Homeschooling is not an activity you add to your already busy schedule. It is not a fad. Homeschooling is a lifestyle. This year we celebrate 10 years of home education. Next year our youngest child will be in seventh grade. The thought of sending her to a regular school already entered my mind because I plan to work outside the home. We are still praying about this decision. Again, even quitting homeschooling is a family decision. In the meantime, let’s finish that test of addition and subtraction of similar fractions. Shall we?